It's NEVER been easier to get a pregnancy FREEBIE! Receive your choice of ANY 5 packs of Breast Pads for FREE! Only pay shipping and handling! 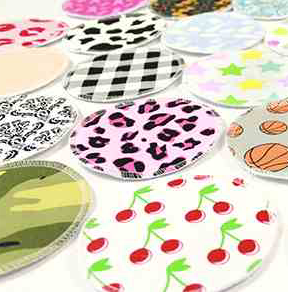 Simply visit www.breastpads.com and click on Shop Now. You get to choose ANY 5 packs of breast pads you like. All additional packs after your free 5 will only be $2 per 4-pack! Once you've made your selection, it's time to scroll down or simply click View Cart! Enter the promo code: FAMILY2014 and you'll notice that 100% off of the cost of your 5 packs of breast pads (10 pairs!) will be deducted, all your paying is the shipping & handling fees! You can use this code more than once - just open a new browser window each time! These uniquely designed breast pads make awesome gifts for new moms and baby showers. Selections sell out pretty quickly, so get yours today! Visit Breastpads.com to snag your freebies!